Face primer is most commonly used to help prepare your skin for foundation application by smoothing out the texture of your skin. Though many skip applying primer, considering it a non-essential step, taking just a few minutes to add it to your makeup routine can make a huge impact on your finished look. Face Primer smooths the surface of your skin, minimizing the appearance of fine lines and pores, evens your skin tone, and helps your makeup stay put and smudge-free all day. This article will help you choose the right primer and how to apply it properly. 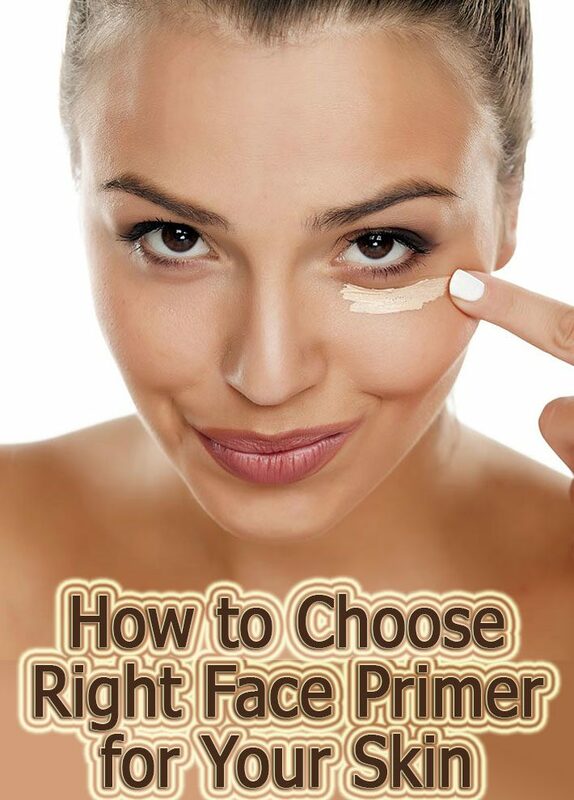 Decide what you want your primer to accomplish. Are you most concerned with wrinkles and fine lines? Discoloration? Toning down shine on oily skin? There are tons of face primers on the market, so take the time to examine your skin and think about what will work best for you. Check the labels or research online to find the primer that will fit your unique needs. If you are worried about enlarged pores or wrinkles, search for pore-reducing and anti-aging primers. Primer should always be used if you are going to airbrush your makeup. 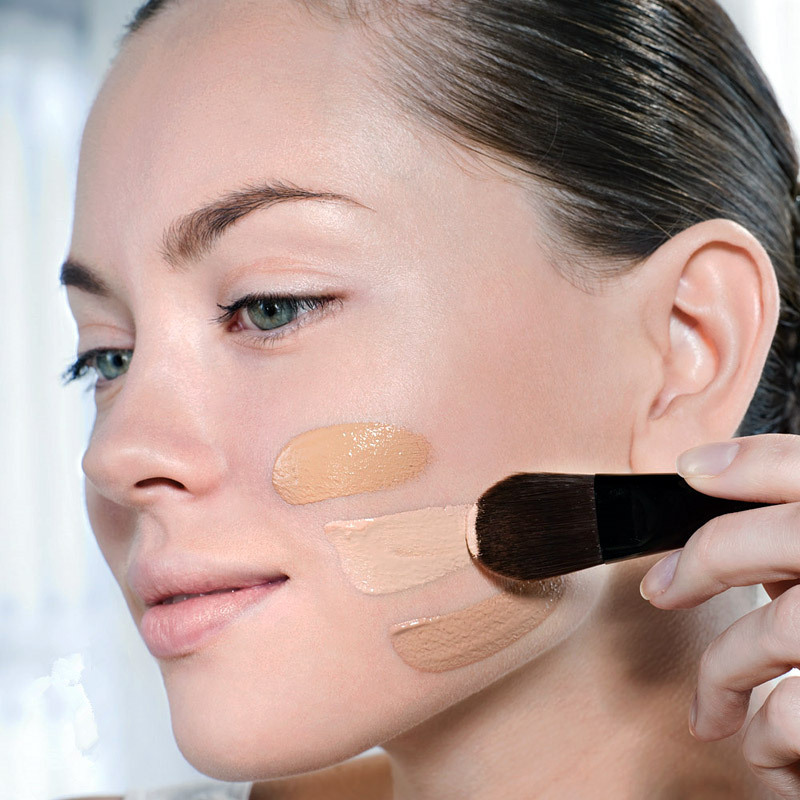 Evaluate your skin and decide if you need a color correcting primer. If you have dark spots on your skin or dark circles under your eyes, redness, or sallowness, you can find a color-tinted primer that will neutralize the discoloration. Complimentary colors cancel each other out, so if you have a red or ruddy skin town, the color opposite red on the color wheel (green) will neutralize the red. Keep in mind you don’t necessarily need to use a color-correcting primer at all. You can absolutely use a primer that goes on clear. Primer with a greenish tint can correct extreme redness. This is especially helpful if you get a sunburn on your face. Yellow primer works for a light red or pinkish complexion. If you have bluish dark spots, hyperpigmentation, or bruising, try orange or peach-tinted primer. Figure out your skin type–oily, dry, or normal? Primers have different ingredients, weights, and textures that will work better with different skin types. If you’re not sure what kind of skin you have, wash your face with a gentle cleanser and let it air dry. How does your skin feel after 15-20 minutes? If your face feels moist or oily, you have oily skin. Try a mattifying primer to tone down shine and soak up the oil. Primers with salicylic acid also absorb excess oil. If your skin feels tight or dry, you have dry skin. 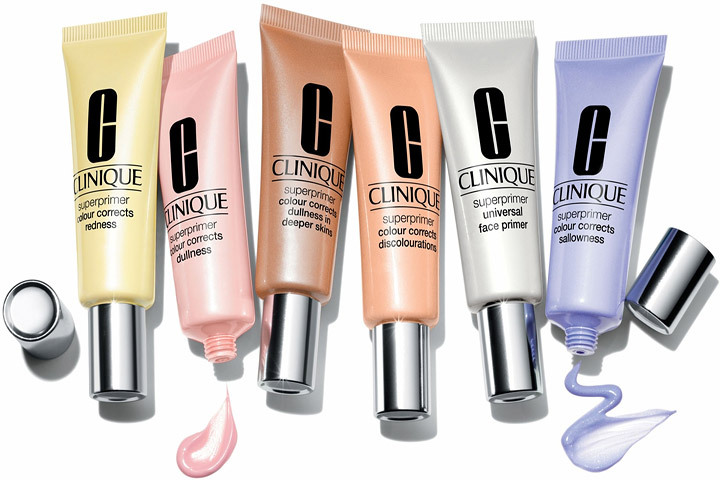 Look for a gel-based or illuminating primer that won’t dry out your skin. If your skin feels soft and clean, you have normal skin. Experiment with different primers to see what feels best and gives you the effect you want. Check to see if your foundation is oil- or water-based. You want to choose a face primer that has the same base as your foundation so they don’t repel each other. Also pay attention to whether or not the foundation has silicone, as this can sometimes interact poorly with oil-based foundations and make them appear spotty. When trying out a primer, ask for a sample first and try some on your hand. Once it is dry, apply a little of your foundation. If the foundation goes on smoothly, then you know your foundation and primer can work together. Patch-test any silicone-based primers before putting them on your entire face–some people with sensitive skin have allergic reactions to silicone. 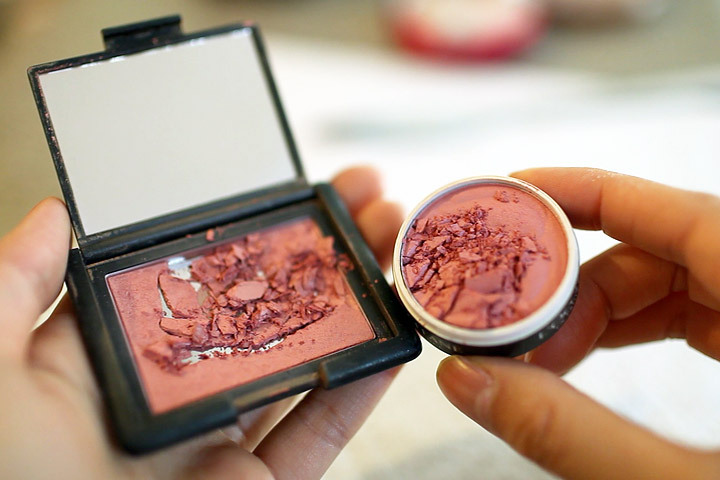 It’s important to remove all dirt and impurities from your face before you begin covering it with makeup. Equally important: clean your hands. You may be applying your face primer and other makeup with your fingers, so you don’t want to be spreading dirt on your face, either. Primer is not a replacement for moisturizer, and you should not skip your moisturizer for fear that it will be too heavy. Moisturizer nourishes your skin and keeps it healthy and, while some primers may have moisturizing properties, their main purpose is to make your foundation last. Make sure you allow your moisturizer to sink in and dry completely before you begin to apply primer. If your skin feels dewy, wait a few more minutes for the moisturizer to be absorbed. Squirt a pea-sized amount of foundation on the back of your hand. Apply the primer to the center of your face and use gentle, circular motions to blend it outwards. The motion should be similar to the one you use when applying you moisturizer. Work the product evenly into your skin so you get smooth, even coverage. Make sure you blend it up to your hairline and over your neck as well. Don’t forget the skin around your eyes. If you aren’t using a separate eyelid face primer, then very gently pat the primer onto your lids so your eye makeup will stay on and really pop all day. Use your ring and middle finger to gently spread the primer over your face. You can use sponge or make up brush as well, but it’s not necessary. This should only take a few minutes. 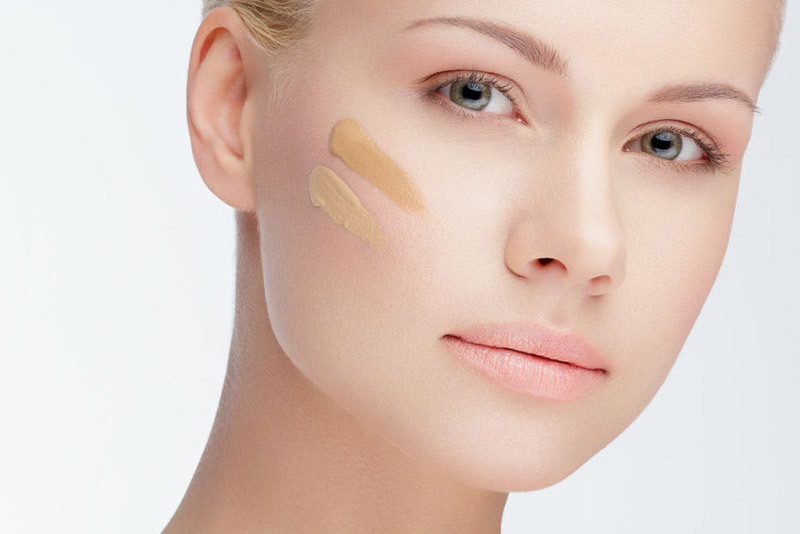 Some people choose to skip foundation altogether, especially if they’re just looking to minimize the appearance of their pores or add brightness to their complexion. Otherwise, you can apply your makeup as normal. Apply a light layer of foundation and build up if you need more. The presence of primer means you will actually end up using less foundation. Your foundation should glide on smoothly and should not settle into creases or wrinkles, as it would without face primer. Once you’ve applied your foundation, you may want to set it with a quick dusting of translucent powder. 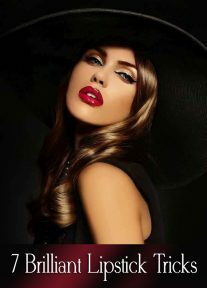 If your face primer and foundation are silicone-based and oil-based, this can help keep your makeup from smudging.